We asked the Hometalk crowd this very question, and so far they seem to agree with us. It's not about the size - it's about the function! Does a kitchen have to be big to be beautiful? Can small kitchens satisfy? We think that beautiful kitchens come in all shapes and sizes! 1. It's not the size, it's the functionality! Create a kitchen that functions for You! When remodeling an Atlanta kitchen, we consider everything from the families' shopping habits to the chefs' heights to ensure we create a space that works for the family that lives there! 2. Proper landing and prep space and adequate/comfortable traffic flow are possible even in smaller kitchens. If you don't entertain and prefer a smaller kitchen, there is nothing wrong with that! 3. 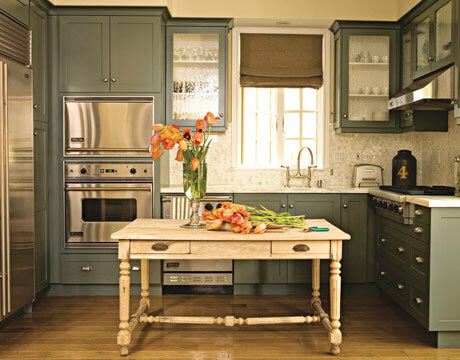 If resale is a consideration either now or in the future, factor that in to all your kitchen decisions when you remodel. Whether you love big or small kitchens, consider the opposite point of view to ensure some universal appeal if you'll need to sell your home in 5 - 7 years.